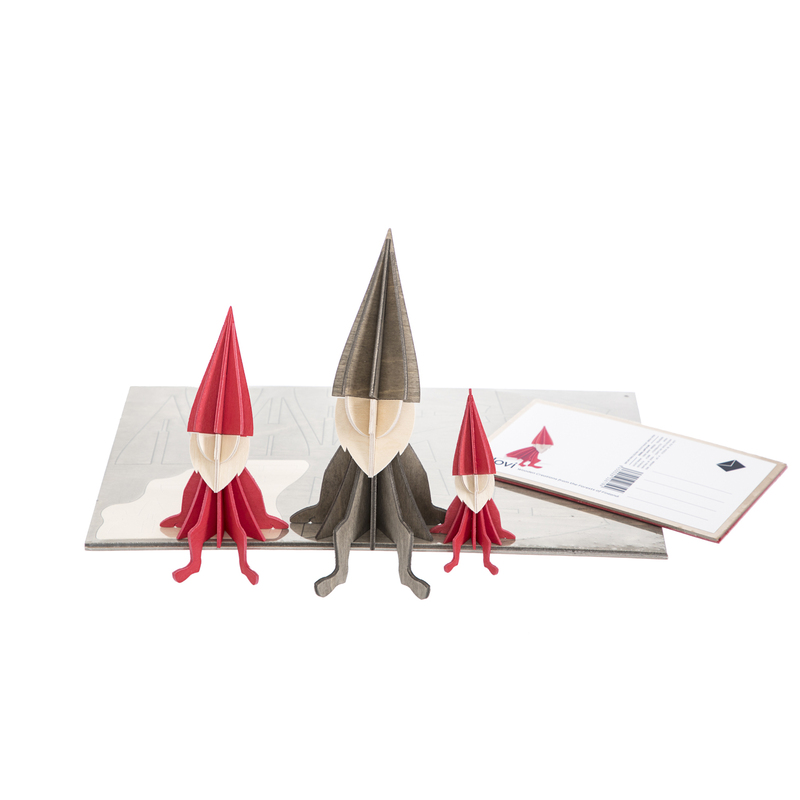 Meet the Lovi Elf Wooden 3D puzzle and postcard. 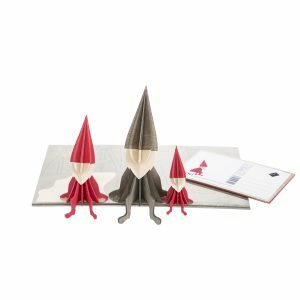 These charming little chaps are our new favourite characters from Finnish company, Lovi Ltd.
Not only do they look super cute sitting on a shelf, desk, or bookcase, they are a fun and original gift designed to send in the post to friends and family. And of course their festive theme make them ideal for Christmas! The Lovi Elf, in bright red and smart grey, sit a very cute 8cm-16cm tall. They come as a flat-packed, 3D, puzzle made from certified birch plywood, are very easy to assemble (the pieces just slot together, no tools needed), and are enveloped-sized for easy postage (just like a postcard). A beautifully unique gift and Christmas card! We have been huge fans of Lovi Ltd, a family-run company based in Northern Finland, for many years now. Designer Anne Paso wanted to create a Christmas Tree decoration from something other than plastic. She loved the idea of the user putting the piece together themselves, enjoying the satisfaction of the end result coming to life in their hands. And of course, the postcard-like label meant the product was ready to be sent. Genius! It is a rare treat, in our over-whelmingly digital age, to receive a card or letter in the post (when do we, hardly ever? Even birthday cards and greetings are becoming increasingly digital), so imagine the delight for your family or friends to receive these little characters through the letterbox. Assembling them is really very easy and just as Anne Paso intended, it is completely charming to see the fun characters come to life. They quickly become treasured keepsakes around the home, to enjoy throughout the year, or perhaps to rediscover each year at Christmas. 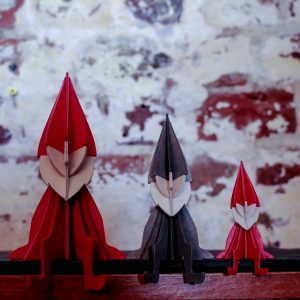 The Lovi Elf Wooden 3D Puzzle and Postcard come in three sizes, 8cm, 12cm, and 16cm. The Lovi Elves are just a small part of a whole world of Lovi creatures, which includes bears, dragonflies, owls, rabbits, birds, even trees. Each character comes in a wide choice of colours which means you can colour match with your home decor! Click through here to see more of the collection.